Hi everyone, here are our recommended titles for the week, five digital titles available through OverDrive and five print titles available through StarCat. If you’ve ever laughed your way through David Sedaris’ cheerfully misanthropic stories, you might think you know what you’re getting with Calypso. You’d be wrong. With Calypso, Sedaris sets his formidable powers of observation toward middle age and mortality. Make no mistake: these stories are very, very funny-it’s a book that can make you laugh ’til you snort, the way only family can. Sedaris’ powers of observation have never been sharper, and his ability to shock readers into laughter unparalleled. But much of the comedy here is born out of that vertiginous moment when your own body betrays you and you realize that the story of your life is made up of more past than future. This is beach reading for people who detest beaches, required reading for those who loathe small talk and love a good tumor joke. Calypso is simultaneously Sedaris’ darkest and warmest book yet-and it just might be his very best. Colon cancer survivor who opted against chemotherapy and radiation provides the toxin-free diet, lifestyle, and therapy guidelines he used to help himself heal. Two days before Christmas and at 26 years old, Chris Wark was diagnosed with stage 3 colon cancer. He had surgery to remove a golf ball-sized tumor and a third of his colon. But after surgery, instead of the traditional chemotherapy, Wark decided to radically change his diet and lifestyle in order to promote health and healing in his body. In Chris Beat Cancer, Wark describes his healing journey, exposes the corruption and ineffectiveness of the medical and cancer industries, and shares the strategies that he and many others have used to heal cancer. These strategies include adopting the Beat Cancer Mindset; radical diet and lifestyle changes; and mental, emotional, and spiritual healing, as well as advanced integrative therapies. Dually packed with an emotional punch and extensive healing solutions, Chris Beat Cancer will inspire and guide you on your own journey toward wellness. In the spring of 2018 the U.S. Supreme Court will render a decision in the Wisconsin gerrymandering case that could have a revolutionary impact on American politics and how legislative representation is chosen. Gerrymandering! A Guide to Congressional Redistricting, Dark Money and the Supreme Court is a unique explanation to understand and act on the Court’s decision, whatever it may be. After describing the importance of legislative representation, the book describes the anatomy of a redistricting n Pennsylvania. That is followed by a review of legislative redistricting in American history and the Supreme Court’s role throughout. The book relates what has happened to the efforts to bring changes to redistricting through the legislatures, including the unseen but omnipresent use of dark money to oppose reforms. The penultimate chapter analyzes the Wisconsin case now pending in the Supreme Court and concludes that anyone relying on the Court’s decision is relying on a firm maybe. Following the text is a Citizen’s Toolbox with which readers throughout the country can evaluate the redistricting situation in their states. The Toolbox is replete with useful information gerrymandering. There are numerous books that tell how bad gerrymandering is, but my book is different, much different. Unlike the others, this book analyzes gerrymandering as developed through the force of history, the hardball politics of state legislatures and scantily disclosed campaign expenditures to maintain it, and the daunting legal challenge for those who want the Supreme Court to adopt a new national standard for determining when gerrymandering is unconstitutional as a violation of the Equal Protection Clause of the 14th Amendment. The daunting challenges is to show the Court that a mathematical formula, such as the efficiency gap formula, is a valid method to measure violations of the 14th amendment’s guarantee that every citizen be given equal protection of the law. When U.S. troops occupied Germany, friends Jakob and Emmanuelle were saved from the terrible fate of so many in the camps. With the help of sponsors, they make their way to New York. In order not to be separated, they allow their friendship to blossom into love and marriage, and start a new life on the Lower East Side, working at grueling, poorly paid jobs. Decades later, through talent, faith, fortune, and relentless hard work, Jakob has achieved success in the diamond business, invested in real estate in New York, and shown his son Max that America is truly the land of opportunity. Max is a rising star, a graduate of Harvard with friends among the wealthiest, most ambitious families in the world. And while his parents were thrown together by chance, Max chooses a perfect bride to start the perfect American family. An opulent society wedding. A honeymoon in Tahiti. A palatial home in Greenwich. Max’s lavish lifestyle is unimaginable to his cautious, old-world father and mother. Max wants to follow his father’s example and make his own fortune. But after the birth of children, and with a failing marriage, he can no longer deny that his wife is not the woman he thought she was. Angry and afraid, Max must do what he has never done before: struggle, persevere, and learn what it means to truly walk in his father’s footsteps, while pursuing his own ideals and setting an example to his children. In this intimate, haunting literary memoir, an American icon tells her story for the first time, and in her own gorgeous words-about a challenging and lonely childhood, the craft that helped her find her voice, and a powerful emotional legacy that shaped her journey as a daughter and a mother. One of the most celebrated, beloved, and enduring actors of our time, Sally Field has an infectious charm that has captivated the nation for more than five decades, beginning with her first TV role at the age of seventeen. From Gidget’s sweet-faced “girl next door” to the dazzling complexity of Sybil to the Academy Award-worthy ferocity and depth of Norma Rae and Mary Todd Lincoln, Field has stunned audiences time and time again with her artistic range and emotional acuity. Yet there is one character who always remained hidden: the shy and anxious little girl within.With raw honesty and the fresh, pitch-perfect prose of a natural-born writer, and with all the humility and authenticity her fans have come to expect, Field brings readers behind-the-scenes for not only the highs and lows of her star-studded early career in Hollywood, but deep into the truth of her lifelong relationships-including, most importantly, her complicated love for her own mother. Powerful and unforgettable, In Pieces is an inspiring and important account of life as a woman in the second half of the twentieth century. Olivia had always heard stories about Algeria from her maternal grandmother, a Black Foot (a “Pied-Noir,” the French term for Christian and Jewish settlers of French Algeria who emigrated to France after the Algerian War of Independence). After her grandmother’s death, Olivia found some of her grandmother’s journals and letters describing her homeland. Now, ten years later, she resolves to travel to Algeria and experience the country for herself; she arrives alone, with her grandmother’s postcards and letters in tow, and a single phone number in her pocket of an Algerian, Djaffar, who will act as her guide. Olivia’s quest to understand her origins will bring her to face questions about heritage, history, shame, friendship, memory, nostalgia, fantasy, the nature of exile, and our unending quest to understand who we are and where we come from. Jane Hawk–rogue FBI agent and the country’s #1 fugitive–confronts her worst nightmare when her enemies strike shockingly close to home in the explosive new thriller from Dean Koontz, bestselling author of The Silent Corner. Jane Hawk thinks her precious five-year-old son is hidden safely away, with vigilant, indomitable friends. But the malice and resources of her powerful adversaries are boundless and their hunters are circling ever closer to the boy, hoping to draw his mother into their trap. Jane’s courage, wits, discipline, and skill will be tested as never before, as she searches for a way through an ever-contracting labyrinth of terror. “The Lost Queen tells the story of Languoreth, Queen of Cadzow, who lived in sixth century Scotland and came of age at a time when invading Anglo-Saxon forces and the rise of Christianity threatened to change her way of life forever. Together with her twin brother Lailoken, destined to be a Wisdom Keeper and eventually known to history as Merlin, she is catapulted into a world of danger and violence. War brings the warriors of Emrys, the Dragon Warrior or Pen Dragon, to their door, and among them is Maelgwn. He and Languoreth spark a passionate connection, forged by a magical spell, but Languoreth is promised in marriage to Lord Rhydderch, son of the High King Tutgual who is sympathetic to the Christian followers of a charismatic monk named Mungo. As Rhydderch’s wife, it will be Languoreth’s duty to fight for the preservation of the Old Way, her kingdom, and all she holds dear. Rebellious, intelligent, passionate, and brave, Languoreth is an unforgettable heroine whose story of conflicted loves and survival is set against a cinematic backdrop of ancient Scotland and its myths and magic which spring from the beauty of the natural world.The Lost Queen brings this remarkable woman to life, rescuing her from vanishing history, and reclaiming her place in some of the most enduring legends of all time. Michael Hudson spends the long days in prison devouring books given to him by the prison’s librarian, a young woman named Anna who develops a soft spot for her best student. Anna keeps passing Michael books until one day he disappears, suddenly released after a private detective manipulated a witness in Michael’s trial. Outside, Michael encounters a Washington, D.C. that has changed a lot during his time locked up. Once shady storefronts are now trendy beer gardens and flower shops. But what hasn’t changed is the hard choice between the temptation of crime and doing what’s right. Trying to balance his new job, his love of reading, and the debt he owes to the man who got him released, Michael struggles to figure out his place in this new world before he loses control. A frank, smart and captivating memoir by the daughter of Apple founder Steve Jobs. Born on a farm and named in a field by her parents―artist Chrisann Brennan and Steve Jobs―Lisa Brennan-Jobs’s childhood unfolded in a rapidly changing Silicon Valley. When she was young, Lisa’s father was a mythical figure who was rarely present in her life. As she grew older, her father took an interest in her, ushering her into a new world of mansions, vacations, and private schools. His attention was thrilling, but he could also be cold, critical and unpredictable. When her relationship with her mother grew strained in high school, Lisa decided to move in with her father, hoping he’d become the parent she’d always wanted him to be. Small Fry is Lisa Brennan-Jobs’s poignant story of childhood and growing up. Scrappy, wise, and funny, young Lisa is an unforgettable guide, marveling at the particular magic of growing up in this family, in this place and time, while grappling with her feelings of illegitimacy and shame. Part portrait of a complex family, part love letter to California in the seventies and eighties, Small Fry is an enthralling story by an insightful new literary voice. The catalog of physical materials, i.e. print books, DVDs, audiobooks on CD etc. 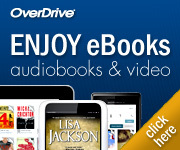 The catalog of e-books, downloadable audiobooks and a handful of streaming videos. Digital magazines on demand and for free! Back issues are available and you can even choose to be notified by email when the new issue of your favorite magazine is available.